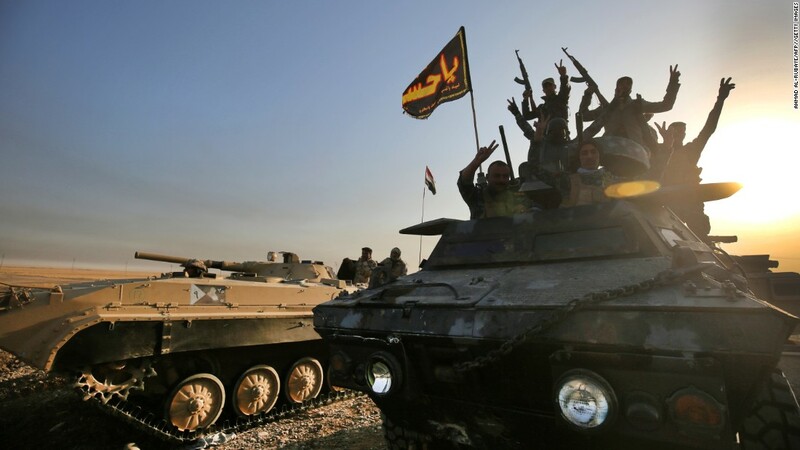 When the U.S. President and Commander-in-Chief Obama directed American troops to lead the fight to liberate Mosul from the claws of the Islamic State, he bore the responsibility to prepare the American people for all eventualities. As an American who has lived in Israel for 46 years, since the age of 20, and as a journalist who has covered sensitive security matters for the past 30 years, I am obliged to share the daily experience of how Israel copes with the civilian front at a time of war. Their measures of precaution and preparedness are worthy to share with an American audience at this time. Because the U.S.-led military attack on the city of Mosul — the jewel of the Islamic State — may generate ISIS reprisals against U.S. citizens on U.S. soil. This is a time that American citizens should demand that their government and Congress implement immediate precautionary measures throughout the country. A cardinal rule of thumb in the Middle East culture of conflict is that reprisals against civilian lives can be expected, even when the price for revenge may cost the life of the attacker. This not a time to engage in denial. Expect an attack from a determined foe like ISIS. All modes of transport must be protected, especially intercity trains. This means the same type of security generally afforded to international passengers in airports must be implemented at the entrances to train stations and bus stations. Local busses and transit should have armed roaming security teams who will enter the subways and local buses and do spot checks on any suspicious people or objects (as Israel does with Egged buses and the new Jerusalem Light Rail). It would save time to employ unemployed vets with combat experience in the Middle East. They know what to look for and have had experience. An increase in the sheer quantity of security guards at all of these venues is vital. Increasing the security personnel by using unemployed vets would be a program with matching funds for their employment provided by the federal and state governments and the owner operators of the public transportation, schools, shopping centers, churches and etc. A particularly vulnerable target is your local elementary school and playground, because of the perceived helplessness of children — easy prey for terrorists. As in Israel, at least some teachers at all levels, from kindergarten to university, should be armed, trained by professionals, and required to have concealed 9mm (minimum effective caliber) pistols on their person or within easy reach at all times. Guards must eyeball everyone as they ask security questions — the technique used at Ben Gurion Airport. Shifting pupils in the eye may tip off a guard that something is not right. Cameras should be placed throughout the object that must be secured and a central hub command center should be kept manned at all times so that suspicious people/objects can be sent via text and voice to the security personnel on patrol. In a properly open democracy, there should be nothing difficult about communicating directly with staffers in the executive branch and the Congress. And in the age of warfare with ISIS and other non-state actors, national security in the United States depends on one thing: Your feedback to the powers that be in Washington. Tell Congress and tell the Obama administration our nation must be prepared for possible terrorist attack in our most vulnerable locations. To recall a Greek Proverb which was the guiding principle of the World Affairs Council where I grew up in Philadelphia: In a democracy, agreement is not essential – participation is. Previous articlePRESS RELEASE: FactsOnIsrael.com, Inc.